The Pantech Discover wins our award for Best Android Smartphone with a sharp display, fast performance and long battery life. Available on AT&T, this phone has all of the qualities you should look for even when shopping for a more expensive smartphone: large, bright display, speedy performance, long battery life and great audio. The Discover's long list of good qualities starts with its overall design. Between the back's curves and texture, the Discover sits comfortably in your palm without slipping. This smartphone's 4.8-inch display is bright with popping colors and decent viewing angles. The 1280 x 720 resolution means that text is crisp even at small sizes, and you can use this phone to watch HD content. With 16GB of internal storage plus a slot for a microSD card, there is plenty of room for apps plus media. Audio quality on small devices is never the best, but aside from the HTC One, the Discover produces some of the best sound we've heard on a smartphone. The biggest drawback to the Discover is that it runs Android 4.1 Jelly Bean, which is now two versions behind the current release. But Pantech added a skin/user interface over Android that makes the phone easier to use if you're unfamiliar with Android or aren't very tech-savvy. 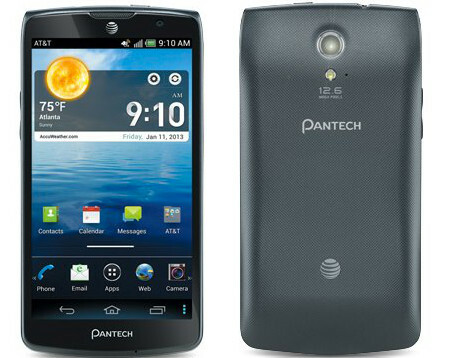 The Pantech Discover doesn't feel, look, or act like a budget phone, even though it only costs $50 on contract with AT&T.